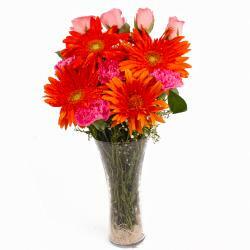 Product Consist : Glass Vase of 12 Seasonal Mix Flowers like Yellow Roses, White Carnations and Orange Gerberas with Green Fillers. 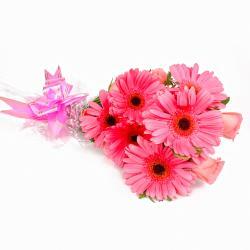 Surprise her this festive season with these amazing seasonal spring flowers. 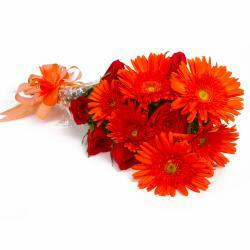 These mix flowers like yellow roses, white carnations and orange gerberas promise a fresh and enervating touch to special occasion like Birthday, Anniversary, Housewarming, Baby Shower, Baisakhi, Republic Day. They have been accentuated with green and white fillers as well and are accompanied by a glass vase for added elegance. 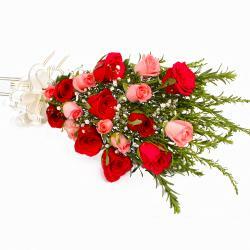 This gift combo will definitely be a new and unique approach towards gifting this festive season. It will certainly warm the cockles of your loved ones and family members alike. 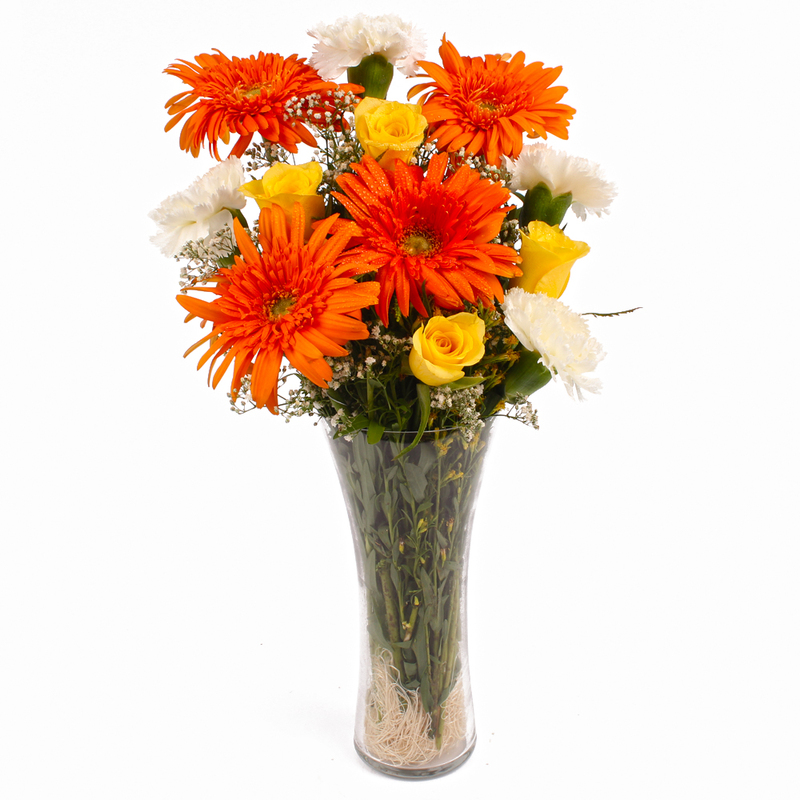 Product contains : Glass Vase of twelve Seasonal Mix Flowers like Yellow Roses, White Carnations and Orange Gerberas with Green Fillers.